I mailed Wednesday. My Pal should receive Saturday. 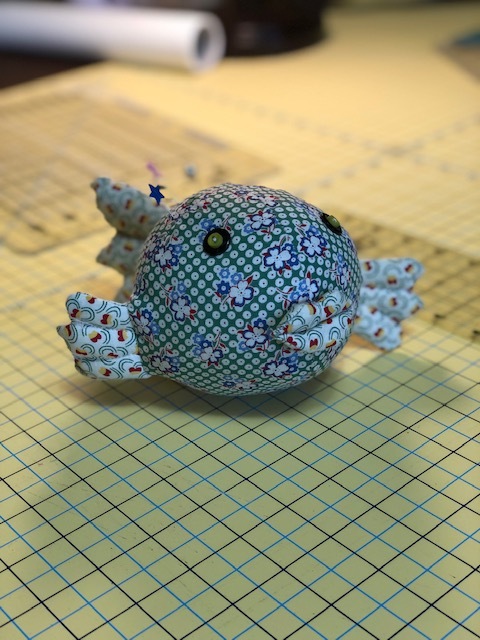 My pincushion will have to swim through lakes, rivers, and streams to get to it's destination. Yippee I received my pin cushion today! Sew sweet. I love it. Thank you Kristie. The package was wrapped so adorable. I also picked up my package from PamelaOry yesterday. 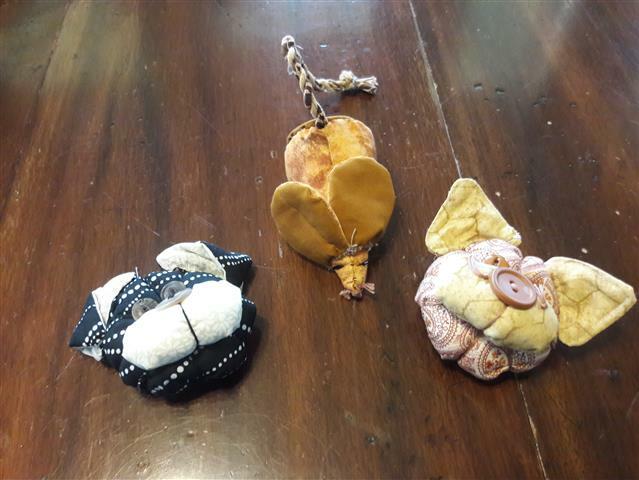 I am unable to post a photo at this time, but I received not one, but two of the cutest pincushions I have ever seen. I will post a photo just as soon as I get a new camera, which according to the weather report will not be for a couple of days. Pam, the littlest one is so cute that it will go into my handwork kit. Thank you so much for a wonderful swap package. My package to my swap partner was mailed yesterday and my only hope is that it doesn't get on a slow boat. And swim he did! I love it Cuppy! He’s so cute, well made, weighted even, and came with a few special pins to get us started. Thank you so much! I love that fish! How cute! 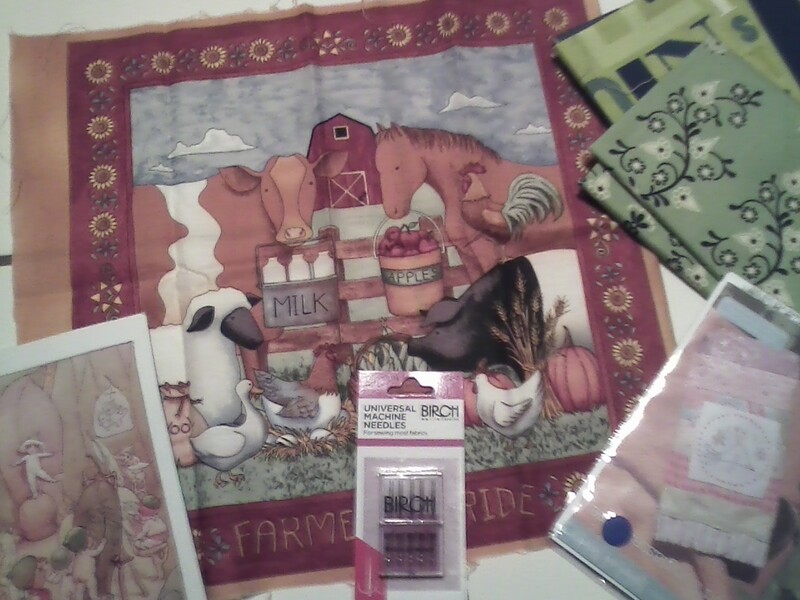 Well, I can't seem to find my SS on here, I got a great package from: SKae aka Sandy Kae Dreher. It was a rectangle hot pink pin cushion. Plus the cutest decorated spool. In colors of my quilting room. Teal & black with all sorts of tiny cute sewing accessories on top. This was a cute idea! Thank you so much! If someone knows my Ss can you please let her know I'm trying to reach her? If your SS didn't tell you who she was, pm Teri she would tell you. It would be great to see some pictures... Laquita, I will PM Sandy. I Came home today to a most wonderful surprise!! 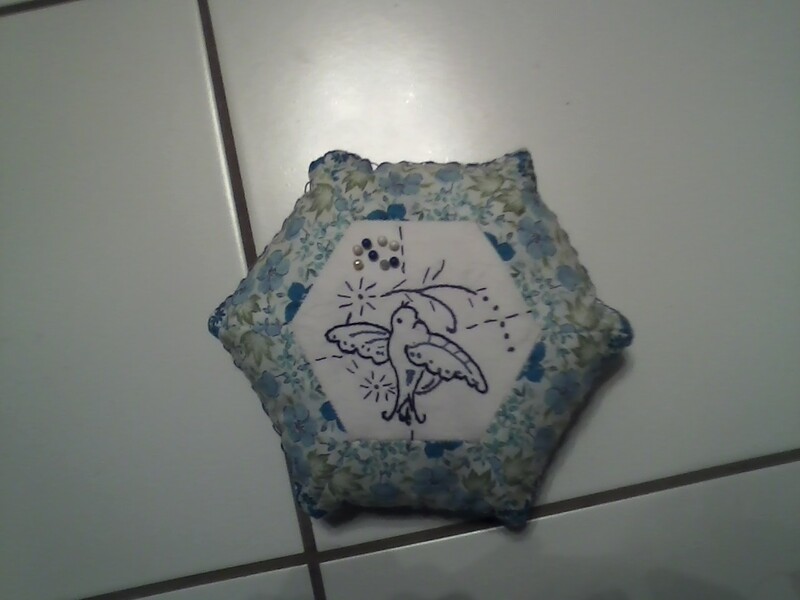 What a wonderful tuffet pin cushion all the way from England!! I am beyond thrilled! 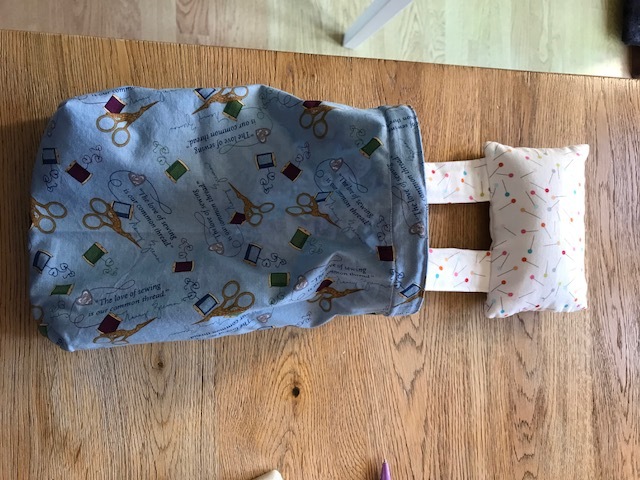 Thank you Carolyn Paj for the pin cushion, fat quarter, and binder clips, I will certainly put them all to good use! Hugs & Happiness to you and yours, Kristine aka "IAimToMisbehave"
Last edited by IAimToMisbehave; 02-12-2019 at 03:32 PM. What a cute little tuffet indeed! Clever you, Caroline. Its a gorgeous little tuffet. My partner should get her pincushion on Saturday. Hopefully we aren't going to get the nasty weather like we are suppose to on Friday and Saturday. You are most welcome... I am glad it made it’s journey safely. 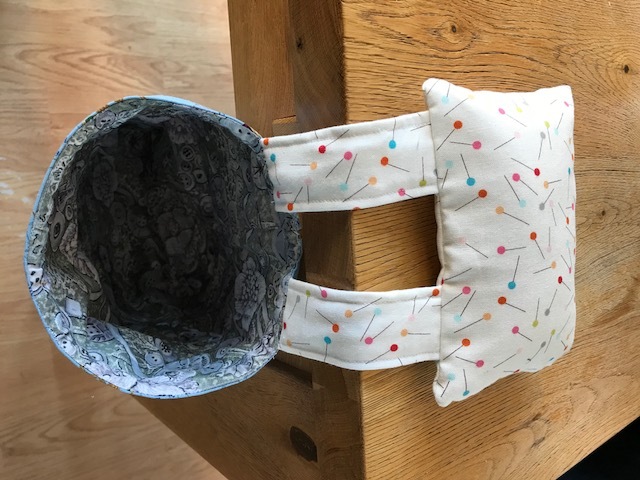 just wanted to show off the wonderful thread catcher and pincushion I received from Terrie.... it is so lovely and the fabrics is totally topical..... Terrie I love it, thank you so much. beautiful thread catcher. lucky you, Caroline and well done Terrie. 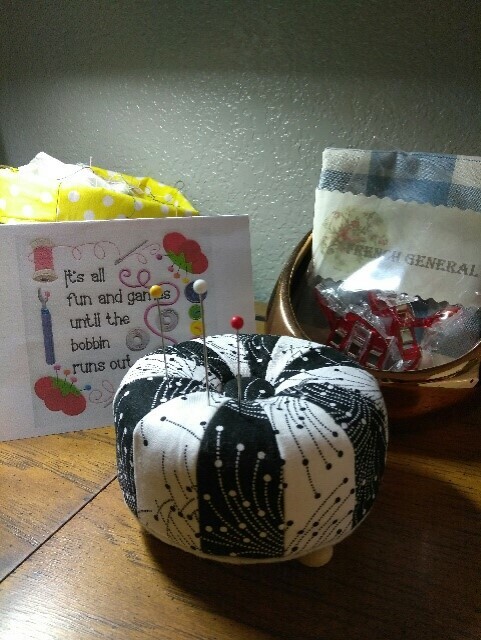 I received the most lovely pincushion and lovely gifts from m-fay. 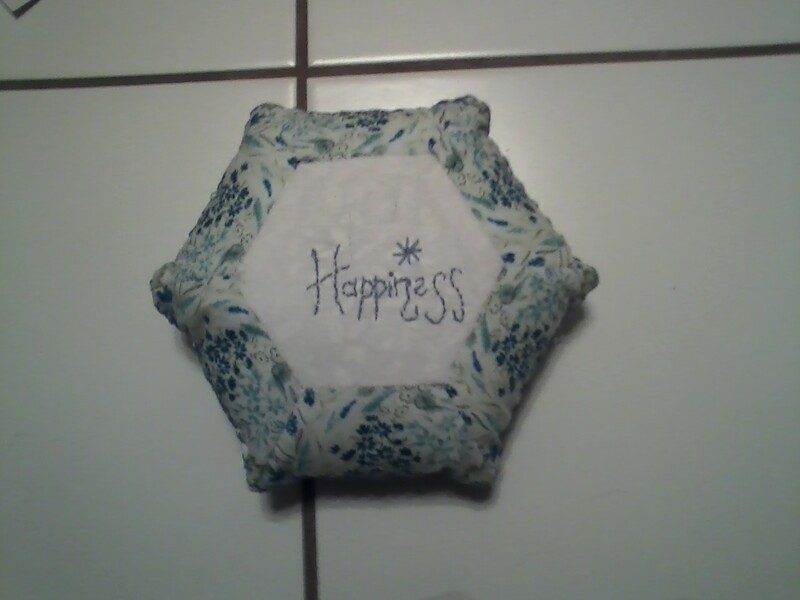 She gave me a hand stitched (front and back) hexagon pincushion, a couple of fat quarters, a farm panel, needles and an eyeglass case kit. Glad it arrived Ok. Queenbarbiej Whats the weather like in Nebraska.is it snowing, wet & cold or not too bad. Not too bad here, at the moment, Temps have not been above 40 C this week.Am I the only one still waiting? m-fay the weather here is wierd. Monday it was 40 F, Tuesday it was 45 F, Wednesday it was 25 F, Thursday it was 25 F and windy, yesterday it was 12 F and about 3 inches on snow. We are suppose to get 2 to 3 more inches of snow between Saturday and Monday. I hope you get your pincushion soon. I'd love to see snow. Next year 2020, I am going to the eastern states in winter and will go to the snow fields there. I'll make a snow man and throw snow balls! 40 f ...thats cold! about 4C. Even on our coldest night here where I live. 5C (1 night) was our coldest over night last winter. Today our max was a very pleasant 90f 32C. this is sew very cute! Not one, not two but three pincushions! Thank you Jessica! Sew cute! two cats and one mouse for them to case around. Anna the black and white is suppose to be a dog. He/She has the floppy ears. I'm glad you like them. LOL to be honest originally I thought they were both dogs since we have two dogs but then I thought they were cats since there was a mouse. It is all good. I love them! You put a lot of work into them and made so many. Love the little buttons on them too. Very cute! Thank you again. Very clever Jessica. I'm trying to think of something different for my next PC. 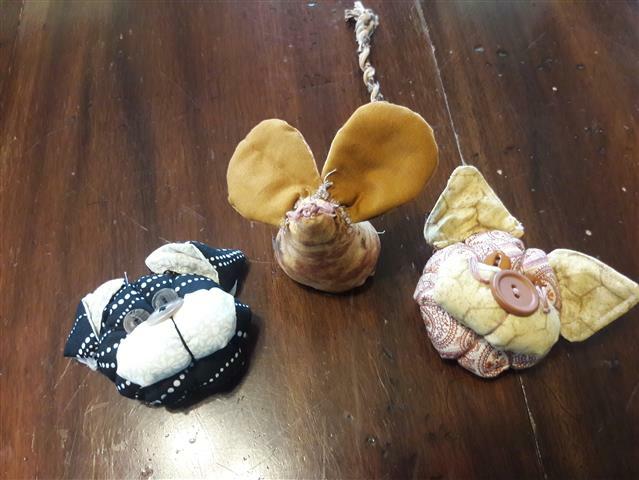 Terri, Sandy, Marion and Annd... have any of you received you pincushions yet... I am wanting to put up the next swap but I won't until I know that everyone has received.